Who: Emma Kidd of ben conservo, a wonderful artist who can do wonders with a moleskine notebook!! I buy indie/handmade products for all my presents, but I usually buy one item a month for me, such as a print that takes my fancy, as I am a collector. 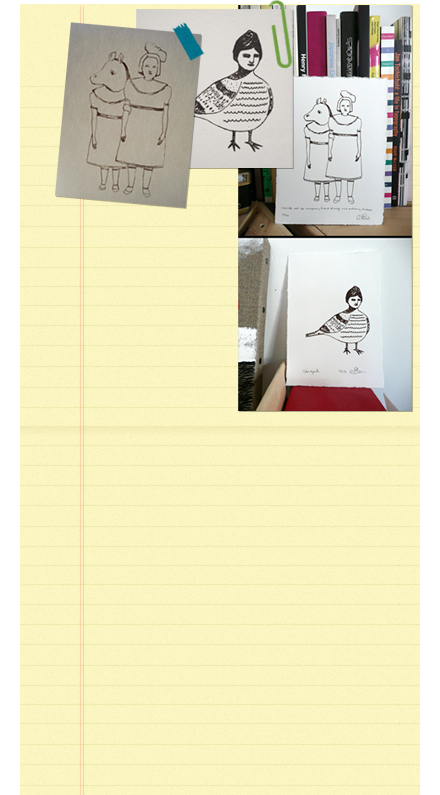 Scores...2 Gocco prints by Amanda Blake. Intrigued, inspired, familiar, calm and waiting. I bought this product because they are beautiful pieces all on their own. I have an urge to buy other pieces of hers, but I am being reasonable.